Featuring the artists of NUarts Studios. Do your holiday shopping here…affordable and delightful small gifts to celebrate the festive season. Items on display in the NUarts Gallery will be small …original works by the artists in a variety of mediums 200 square inches (or less) and $200 (or less). 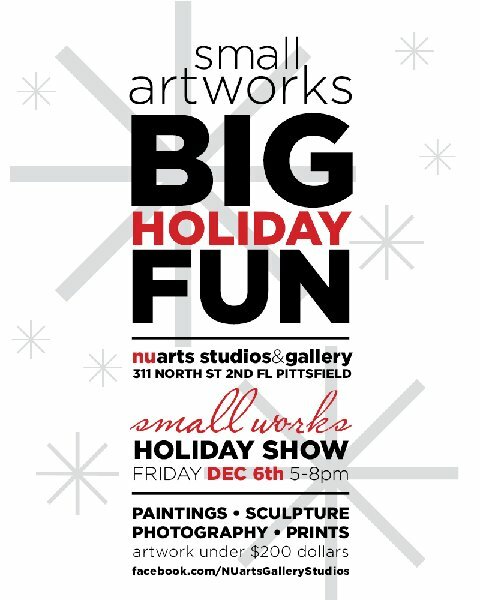 Meet the artists and enjoy refreshments during Pittsfield’s First Friday’s Artswalk on December 6, 5-8 pm. 18 Nov	This entry was written by nuartspittsfield and published on November 18, 2013 at 12:32 am. It’s filed under exhibit and tagged december, holiday, small works. Bookmark the permalink. Follow any comments here with the RSS feed for this post.